RK Logistics employees were recognized for superior workplace safety performance in 2017. RK's low injury and loss claims rate ranked in the top 3 percent of 450 companies. 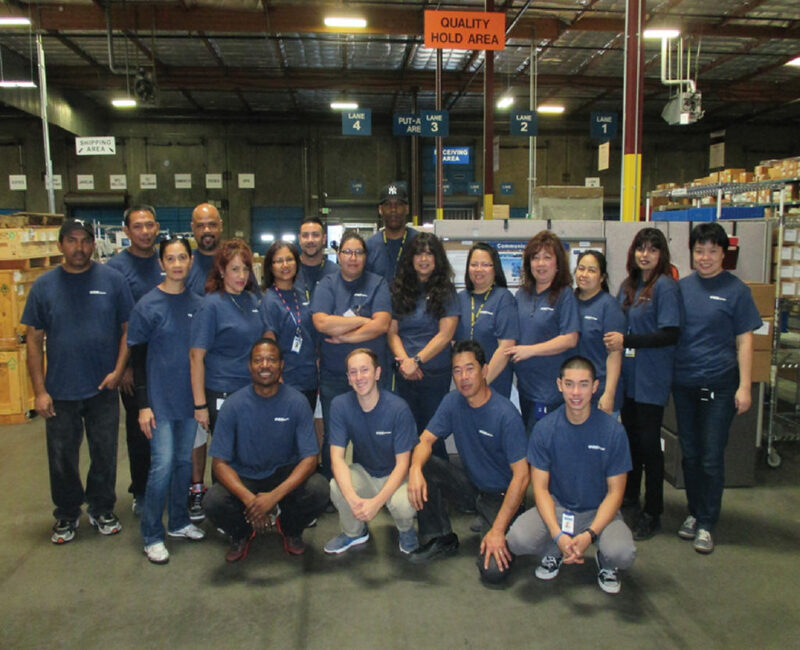 RK Logistics Group, a Silicon Valley leader in third-party logistics (3PL), has been honored for excellence in workplace safety performance by one of the nation’s largest independent managers of captive self-insurance cooperatives. RK Logistics earned a Bronze award signifying its safety and risk management programs, and its workplace safety performance for 2017, scored among the top 3 percent of the members in its cooperative self-insurance pool, which has 450 participants. The Affinity Risk Control Award was presented by Captive Resources, LLC, which annually measures and ranks safety and risk management efforts of pool members. Captive Resources is the industry’s leader in providing consulting services supporting the creation, development and oversight of member-owned group captive insurance companies. Under its Risk Control Award program, Captive Resources evaluates members on various risk management criteria, including overall scope, completeness and effectiveness of workplace safety programs, participation in risk control workshops, claims history and other loss control initiatives. A privately-held minority business enterprise, Fremont-based RK Logistics Group is a growing Silicon Valley enterprise with 800 employees. The company recently opened a new 50,000 square-foot warehouse near its Fremont headquarters, which brings the total to 14 supply chain operations in the greater San Francisco Bay Area representing over 800,000 square feet of warehousing, distribution and order fulfillment capacity. RK is also an industry leader in adopting robot-assisted order-fulfillment technologies, and creating unique industry-specific logistics programs, such as sequencing parts into lean production lines at automotive and technology equipment factories, and just-in-time (JIT) deliveries to construction sites.